Such as? Love without procreation is entirely hedonistic in its' nature. I never said the use of force will be welcomed by those who are the victims of that force, the weak don't get a say in this at all. Which is what is dystopian about it. In addition to which that they are weak does not mean that they are incapable of expressing an opinion. Other, more powerful voices, would certainly be willing to rise to their defense, especially if those powerful voices have a well developed sense of justice. You said "Not "only because." It has far greater use value that that." ​Then I reiterated my statement, what was your point? Their opinions' don't matter, neither do the opinions of the people trying to "rise to their defence", what matters is posterity, we need to make sure future children aren't born with defects and disabilities. You Americans are so obsessed with "Their Opinions", "Their natural rights", "The Rights of all men", "All men are born equal". I am not advocating Eugenics for America, I'm advocating for Eugenics to keep the whole world healthy. I don't care at all if you Americans want your societies to degenerate (which is what is happening right now), you guys can destroy yourselves as much as you want. With Eugenics, we could save so much money currently being spent on disabled people, all that money could be invested into science, NASA, the money could be even distributed to poor people, or the homeless, it could be used to partially pay for Universal Healthcare, it could be used for the greater good, but you insist on defending these weak people, why? Why defend a minority when you could help the totality? That love has a far greater use value than simply fostering procreation. "Posterity" would probably be ashamed that we sunk to such a level of moral depravity. Good. I am certain we will want to opt out of that scheme. We do not have a shortage of investment capital available in our society. What we lack is a proper distribution of wealth and income that would foster greater demand and thus a better utilization of resources. Nothing would be a better utilization of resources that to help the poor and the disabled. Of course, if you are so weak that you cannot lift a finger to help such people, then perhaps you are the one in need. I suspect you have no understanding of just what it is that you really need. Such as? Compassion? Compassion doesn't help a disabled person achieve his potential, if he even has a potential. Really? You Americans did Eugenics in the early 1900's, I don't see anyone apologising for or being ashamed of that. Either way, if Posterity had the same Eugenic values as us in the present, they would not look down on us, but look up to us for saving them from a generation of practically useless human beings. I never said we have a shortage of investment capital, but you can't have a surplus either, there is always money to be invested into something, whether is scientific research or universal healthcare. "Nothing would be a better utilization of resources that to help the poor and the disabled". So you think instead of investing long term in scientific research, we should help some disabled people for no reason except for "It's the right time to do!" What a waste of resources. Of course, if you are so weak that you cannot lift a finger to help such people, then perhaps you are the one in need. I suspect you have no understanding of just what it is that you really need. Undeniably, when I begin to pay taxes, I will be supporting Disabled people, whether I want to or not. What is it that I am exactly I need of? It's not that I don't want to help people, it's just that I'd rather my and other people's money go towards long term important and much more life saving thinks like scientific research and universal healthcare, rather than just helping disabled people's achieve nothing. Says the one who thinks we should kill all rich people. So why have you resulted to personal insults now? First Transcending and now you, it achieves nothing. Instead of continuing this debate (or argument if you like) with me, you just lower yourself to personal insults. You've done nothing but insult a community of individuals who already face orders of magnitudes more adversity than you'd ever know. No, I've shown my opinion and have explained it correctly. Everyone has an opinion that would insult some community some where, that doesn't matter at all. I give Pisiu that he has stated his beliefs respectfully. I think you guys are being too hard and personal attacks do lower debate into a realm of irrationality. Fascism from my perspective is appalling, but considering that no one on this forum is going to become a fascist from Pisiu's comments, degrading his platform serves no purpose. His platform on this forum, is very unlikely to cause harm and should be given free reign to debate because of that. Perhaps instead people could continue to debate him with both sides aiming to learn something. What are you talking about? I'm generally trying to explain my views, I understand that because of their radicalness you don't believe them, but they are true, and nothing about this is childishness, do you think I would joke about sterilizing and euthanizing disabled people? No, it's a legitimate view of mine. 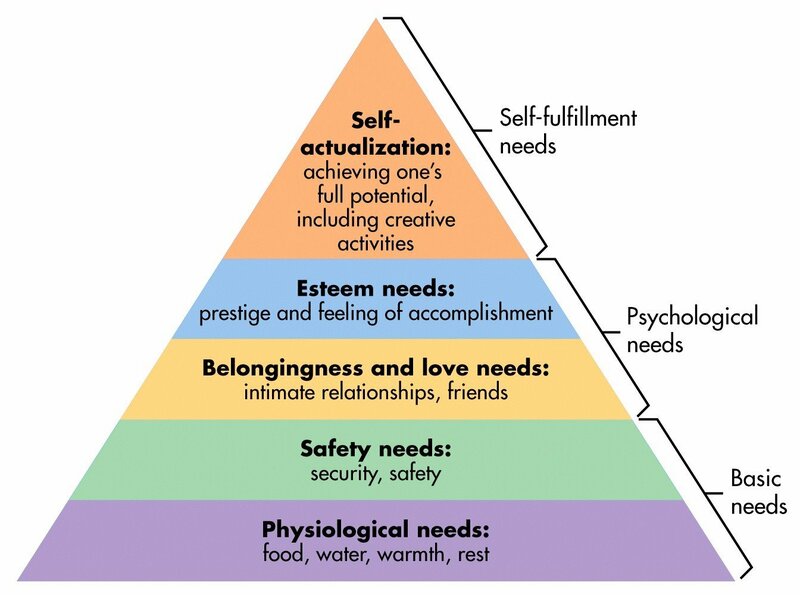 It is also a legitimate view of mine that you do not understand hierarchy of needs or the fact that resources are available to address the needs of the handicapped. To say that is not to launch a personal attack, it is simply to address the arguments that you present. never said we have a shortage of investment capital, but you can't have a surplus either, there is always money to be invested into something, whether is scientific research or universal healthcare. "Nothing would be a better utilization of resources that to help the poor and the disabled". So you think instead of investing long term in scientific research, we should help some disabled people for no reason except for "It's the right time to do!" What a waste of resources. You only consider that to be a waste of resources because you yourself do not suffer from the type of handicap that you discuss. Yes, at the level of personal resources, I stand by my statement that nothing would be a better utilization of resources. Of course that is in the context of their being abundant resources available, meaning that it is not an either or situation. We can do long term scientific research as well as help disabled people. In fact, we can do long term scientific research focused on helping of disabled people. Like other forms of scientific research, that is liable to return results that apply well beyond just helping the handicapped. Under your approach, we will need to re-engineer society in order to accommodate your dystopian notions regarding the imagined need for forced sterilization. Under my approach, we simply divert some resources from other things to assisting the handicapped. Such diversion can include scientific research on the things that biologically handicap people. That does not involve diversion of 100% of our resources. Just what is needed to assist handicapped people. You take it as a personal insult that I ask you to review Maslow's hierarchy of needs. So, my opinion insults you. So be it. Then don't complain about how we find your opinion insulting to the handicapped or to those who would defend the rights of the handicapped. That is a double standard. Universal health care ought to mean universal health care for all, including the handicapped.